Superconductor Technology Companies, Cutting Edge Superconductors, Inc.
About Cutting Edge Superconductors, Inc.
We pursue cutting edge technologies in superconductor applications. Currently we have the world's best patented technology for producing MgB2 wires for next generation cryogen-free 1.5T and 3T MRI. Our patented technology will revolutionize the MRI market and will lead to affordable MRI equipment to most hospitals and much cheaper MRI scan cost to patients, providing better public health service. Cutting Edge Superconductors won the EnterPrize Business Plan Competition in 2011, organized by Guayacan Group and the 2nd Prize at InnoVenture2012 Technology Based Business Plan Competition in 2012, organized by Puerto Rico SBTDC. Cutting Edge Superconductors also won the 2013 Frost & Sullivan Innovation Leadership Award for Superconductor Technology for MRI. In 2013 and 2014 the National Science Foundation (NSF) awarded Small Business Innovation Research (SBIR) Phase I and IB to Cutting Edge Superconductors. 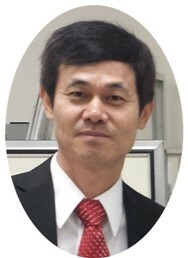 Dr. Kimhas worked on superconductivity for more than 20 years. He did postdoctoral research at Harvard and Purdue. In 2001 he identified the superconducting mechanism of MgB2 immediately after the discovery of superconductivity in MgB2, by inventing the Testardi correlation. He also invented the world's best patented technology for improving the high field properties of MgB2, enabling next generation cryogen-free based 1.5T and 3.0T MRI. 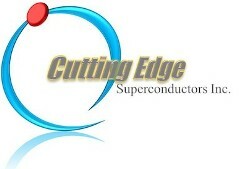 For commercializing this technology he founded Cutting Edge Superconductors in November, 2011. To bring the next generation cryogen-free 1.5T and 3T MRI to market, he has established business partnerships with both LUVATA, the world�s leading superconducting wire company, and General Electric, the world�s leading MRI manufacturing company. CEOCFO: Dr. Kim, what is Cutting Edge Superconductors all about? Dr. Kim: We produce superconducting wire for next generation MRI. We have a worldwide patented technology for the new material, called MgB2 (magnesium diboride). If we use this new material, we do not need the expensive liquid helium. Therefore, we can produce cryogen-free next-generation 1.5T and 3T MRIs. CEOCFO: What does this material do that other material does not? Dr. Kim: The current MRI is based on NbTi wire and this material was commercialized about forty years ago. The new material was discovered ten years ago and it can operate at a higher temperature, 20K using the cryo-cooler. It is just like freezer. You can use this new material and you do not need the liquid helium, so MRIs now can be cheaper, maintenance-free and simple. It can last ten years without any problems. Currently MRIs are very complicated and can only be used to five to seven years. It is very expensive and can be broken very easily. That is the reason why the costs for MRIs are very high. CEOCFO: Where are you in the process of development and commercialization? Dr. Kim: Last year we got NSF SBIR Phase 1 for the feasibility tests of our technology. We successfully executed the feasibility test and we are moving to the mass production stages. From this July I think we will probably have our NSF Phase II approval, which is $750,000 and I think we will get $1 million convertible note from the Puerto Rico government. Therefore, we hope our patented next generation 1.5T MRI will hit the market during the summer of 2015. CEOCFO: Once you go through the next testing are you going to be developing the machines and will you be selling to the MRI manufacturers? Dr. Kim: We are collaborating with Luvata, which is the leading superconducting wire company. In addition, we are collaborating with General Electric. We provide our patented material to Luvata and then Luvata can produce 10 to 20 kilometer long wire. Then General Electric will use the wire to fabricate the next generation cryogen-free 1.5T and 3T MRI. CEOCFO: It is a very exciting breakthrough! Dr. Kim: Yes. We are excited and our collaborators are very cooperative. We are very happy to put this product forward. CEOCFO: How come Puerto Rico? Dr. Kim: That is a good question. First, I had a relative in Puerto Rico, so I decided to move there. Originally I was from Korea, but I also lived in the United States. I worked at Harvard and Purdue Universities for seven years. CEOCFO: Will the money you are getting be enough? Dr. Kim: We are trying to get a $1 million investment at this time. CEOCFO: For people who might be looking at investing is it fairly easy to understand the strength of what you are doing; when you talk to people what are their concerns? Dr. Kim: First, we received our NSF SBIR last summer. In addition, we have received the Frost & Sullivan 2013 Innovation Leadership Award. More people are showing interest in our company. This is a very sophisticated patented technology for MRI. Therefore, our patent is very powerful. It covers everything including the manufacturing technique. CEOCFO: Why pay attention to Cutting Edge Superconductors? Dr. Kim: The global traditional MRI market is currently about $6 billion. Now the MRI market is moving towards next generation MRIs, so in a few years you will not see the current MRIs anymore. Everyone will see our worldwide patented 1.5T and 3T MRI, which is much cheaper and maintenance free compared to current technology. Therefore, you will see costs go down about 40% for MRIs and benefit many people.